Harness HYBRID ECONO, Dynamic Safety, Polysource direct inc. This product is the answer to a demand for a basic harness adjustable at the torso. While being called a basic harness, it offers the user everything a regular mid range harness has to offer at a budget price. Available in sizes Regular and Extra Large. 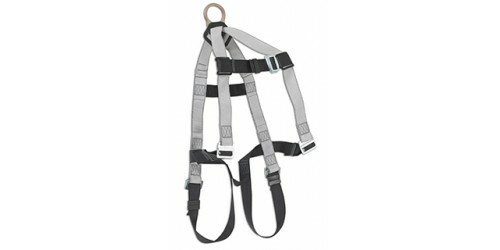 These harness meet and exceeds the ANSI and OSHA regulations and is CSA certified.